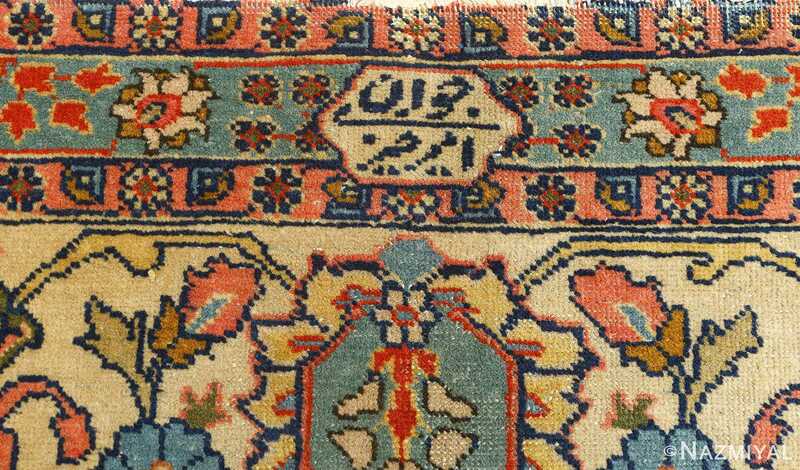 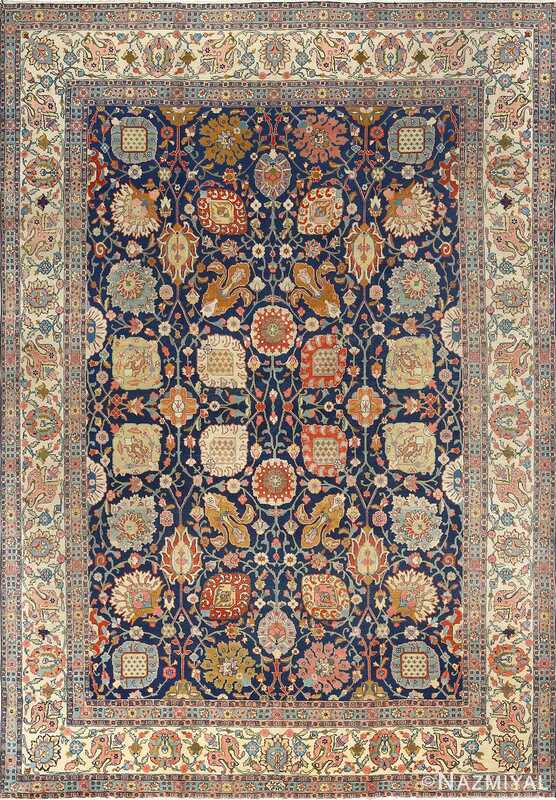 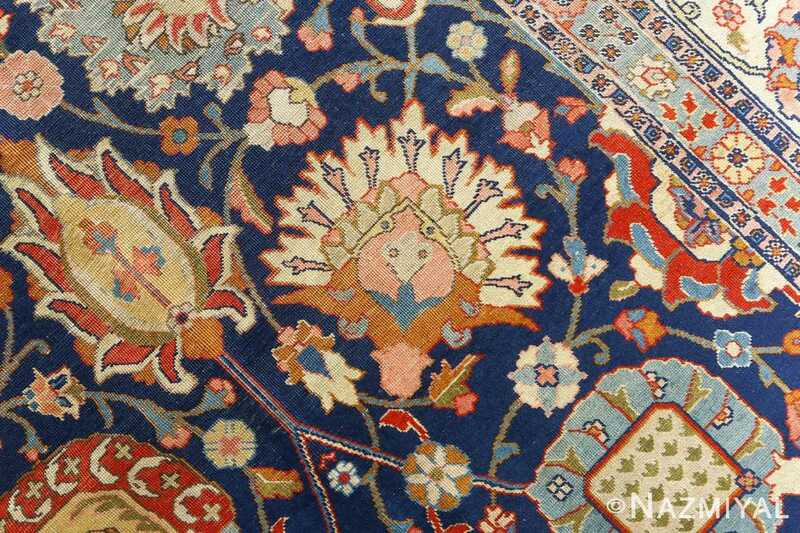 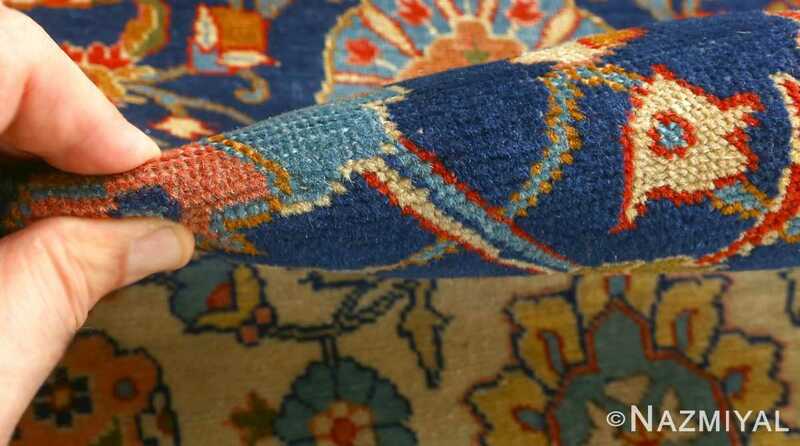 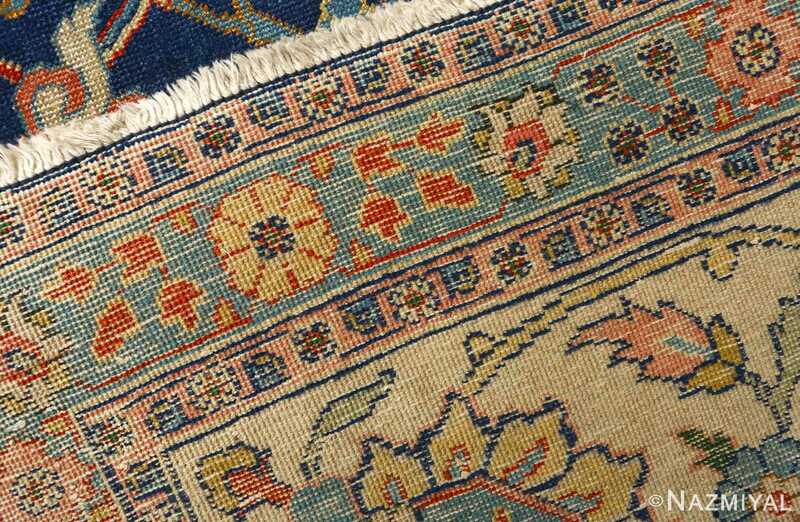 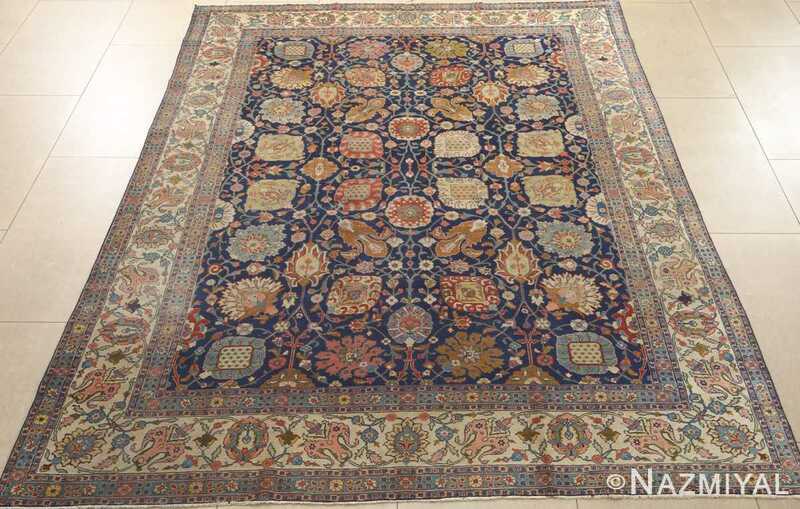 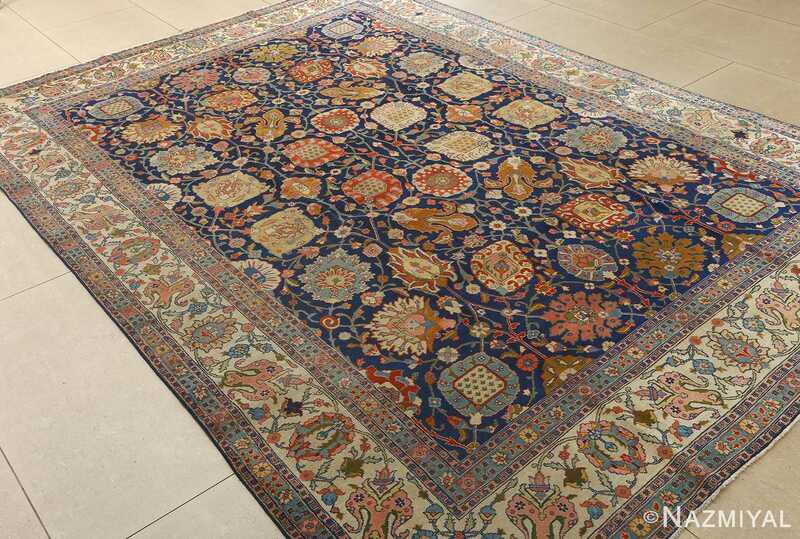 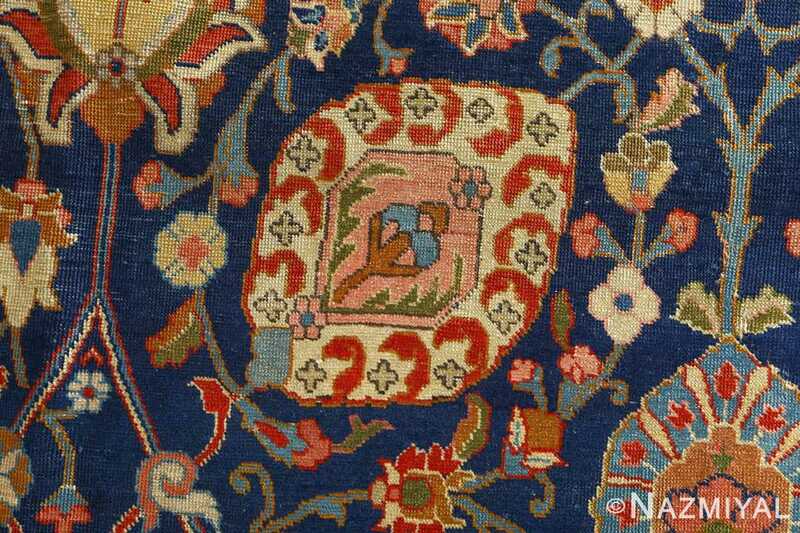 Breathtaking Antique Navy Background Tabriz Persian Rug 51061, Country of Origin / Rug Type: Persian Rug, Circa Date: Early 20th Century – By establishing a cooler and darker navy blue primary color palette, the more neutral tones in this fine antique Persian Tabriz rug stand out more powerfully. 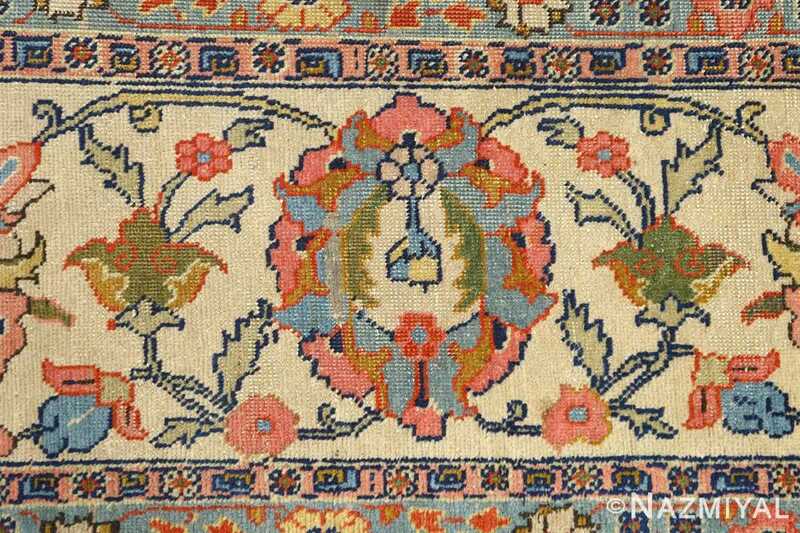 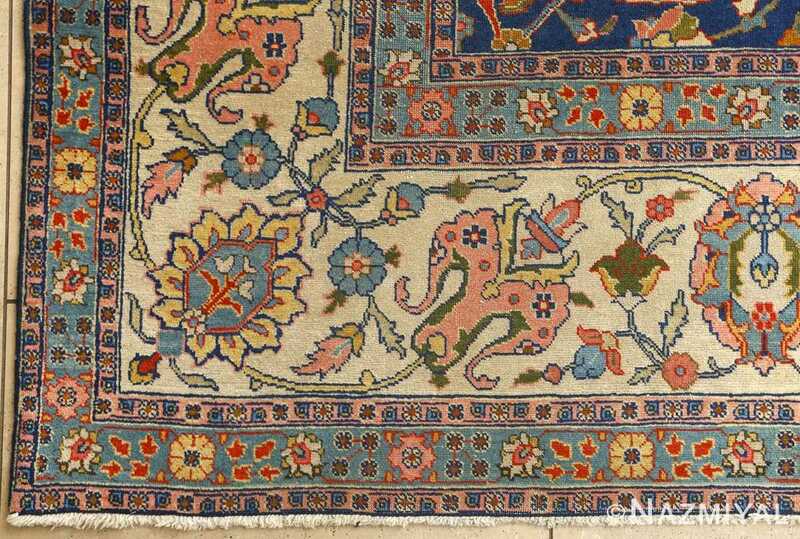 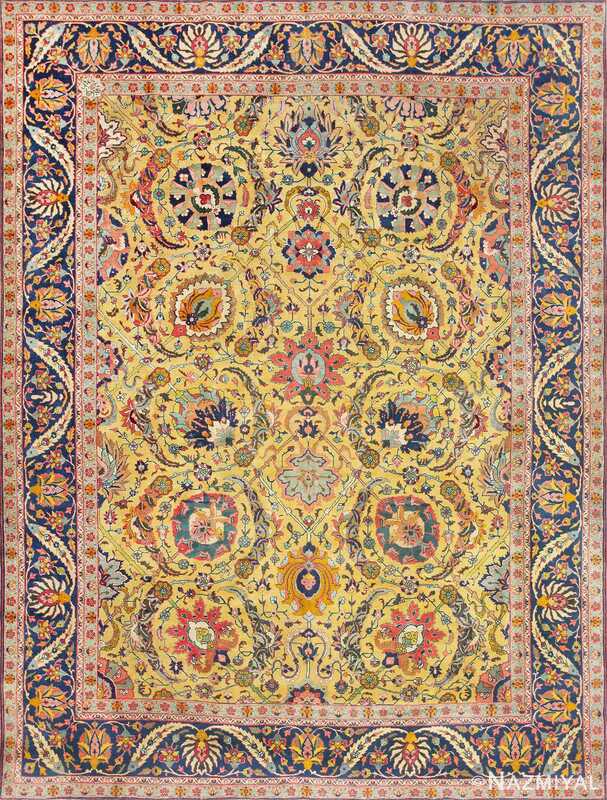 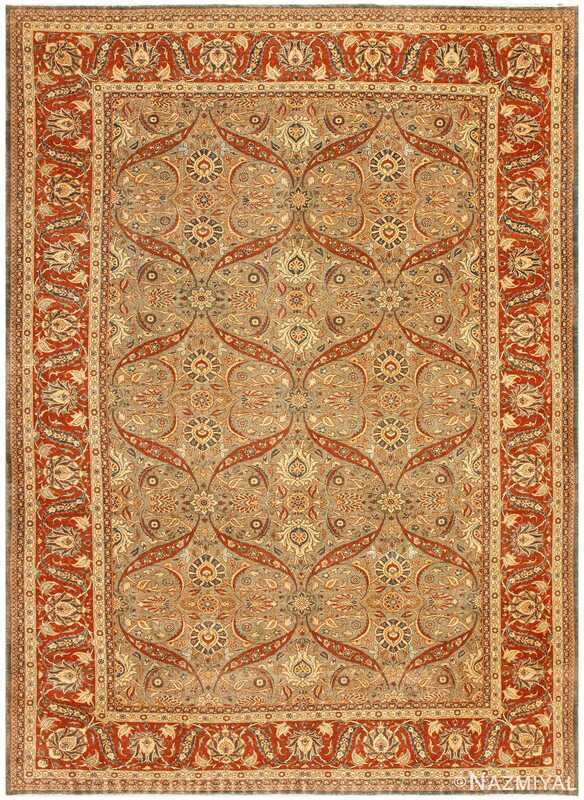 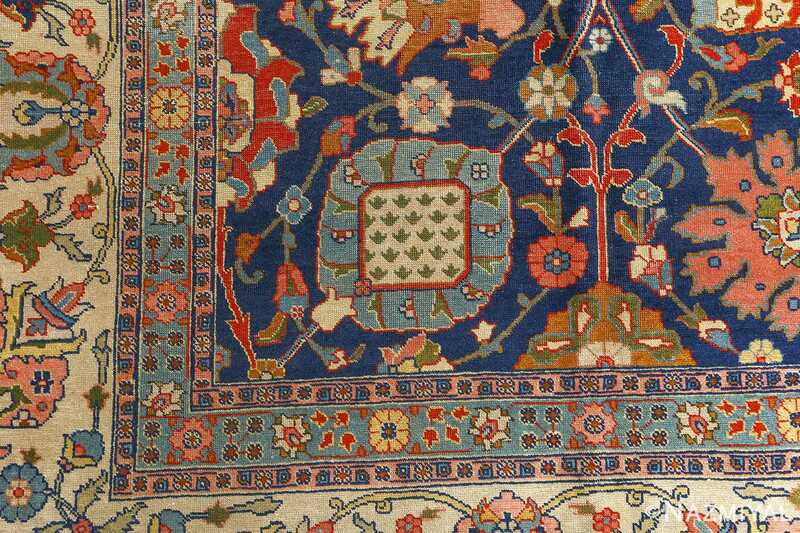 This results in a nightscape of tones and motifs, presented as if the viewer of this beautiful Persian rug is enjoying a peaceful evening stroll through a bountiful garden. 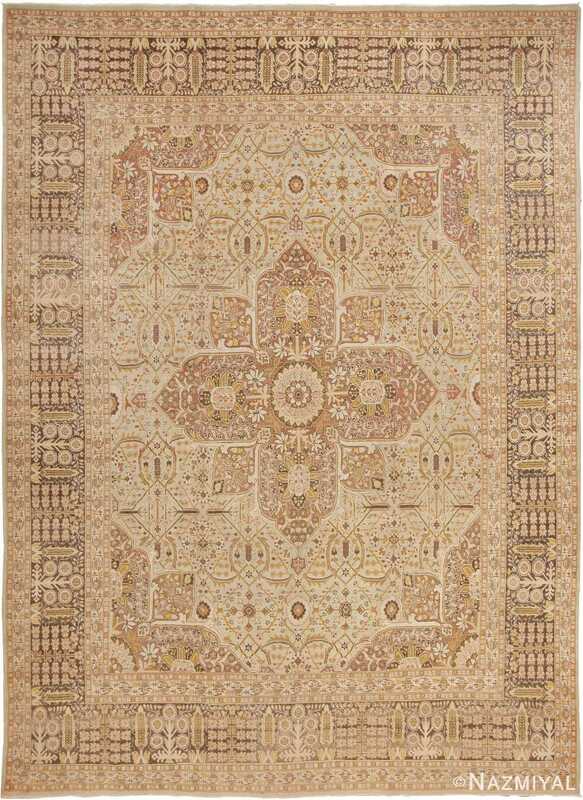 The neutral olive tones are most defined around the edges of the antique rug, where they stand out along the borders and establish a soothing background to the activity present at the foreground. These round natural motifs and floral elements extend along the interior design of the borders, where they lead the viewer’s eyes inward, presenting the same display of elegant leaves and stems, set against a darker background.